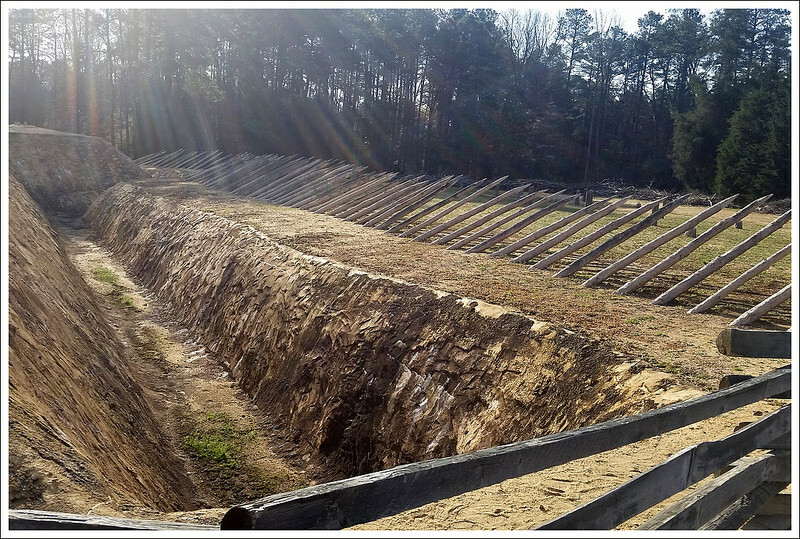 Pamplin Historical Park, located in Petersburg, Va is a hike that demonstrates a pivotal piece of civil war history that takes you through battlefields that led to the folding of the Confederate troops. 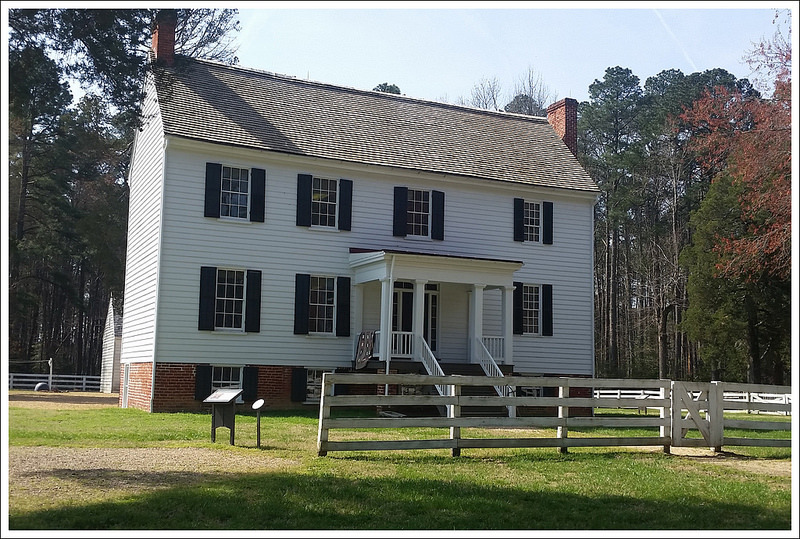 If you’re interested in history, but still want to get some vigorous walking in, Pamplin Historical Park is a great place to visit. We are always looking for new and interesting places to hike in Virginia. 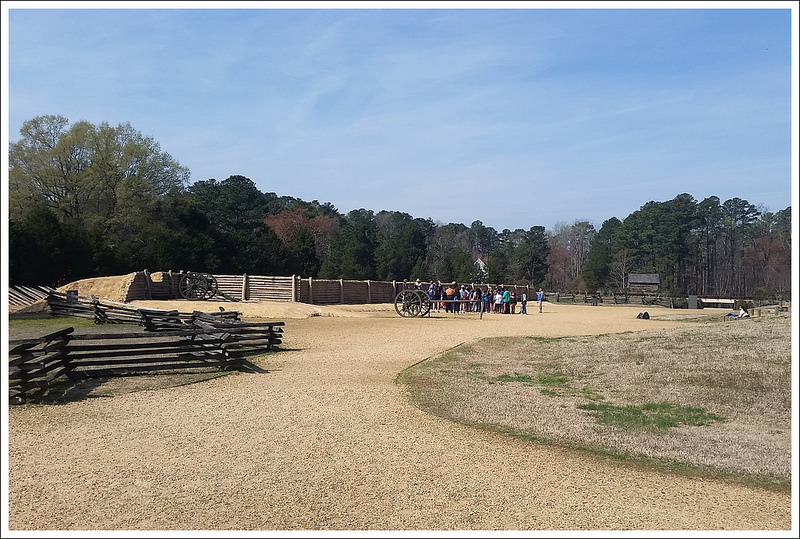 We were contacted a couple of months ago by Diane Willard, Director of Administration, Marketing, & Membership Services for Pamplin Historical Park about visiting their park and telling others about the trails they had on their property. As I was visiting the area in late March, I was able to squeeze in a visit. Please note, there is an entrance fee -as of 2016 adults $12.50, seniors 62+ $11.50, and children (6-12) $7.50. The park is open seven days a week from Spring to Fall from 9AM-5PM daily, so plan accordingly. 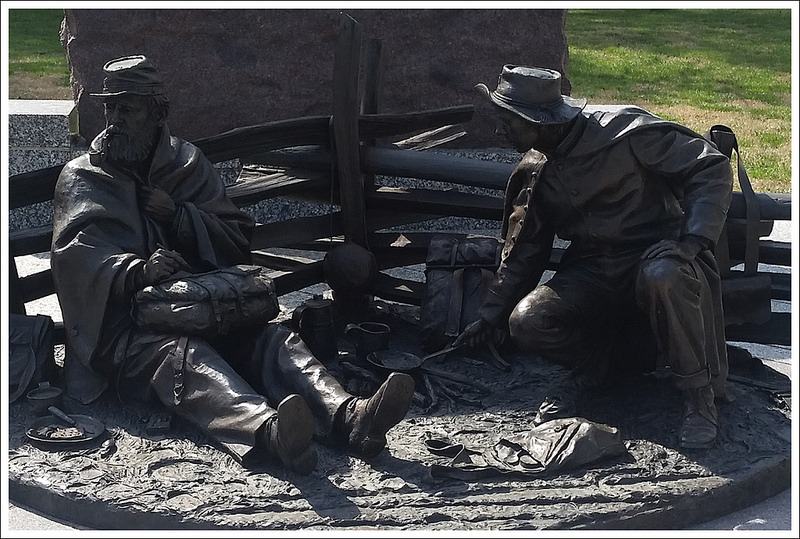 The focus of the park is to bring visitors into the history of the Civil War from one dramatic date – April 2, 1865. On this day, the Sixth Corps Union troops under General Horatio Wright broke through the Confederate line at Petersburg. The Confederate forces were working on maintaining a line of defense that stretched for 40 miles from north of Richmond, the Confederate capital, to southwest of Petersburg. A rough winter and desertion had dwindled General Lee’s troops to 60,000 while Grant’s troops were double that size. The day before, General Grant had cut through the Confederate supply lines and killed about 5,000 troops at Five Forks. This line on April 2nd tried to hold off the Union troops, but in the early morning Union forces got to the Confederate trenches but nearly 4,000 Union troops were killed. The battle raged on throughout the day, but by the end of the day, the Confederate troops decided to retreat and abandon the line. Petersburg and Richmond were evacuated and a mere week later, General Lee surrendered to General Grant at the Appomattox Court House. 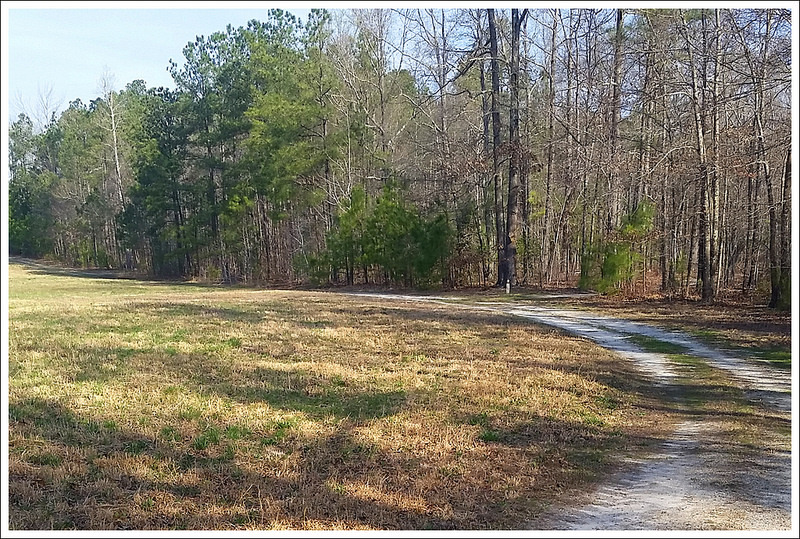 There are several miles of hiking trails through this park and it also connects to the Petersburg Battlefields Trail if you want a longer hike. I would recommend printing this map of the area, so you can get an idea of the landscape to start the hike. 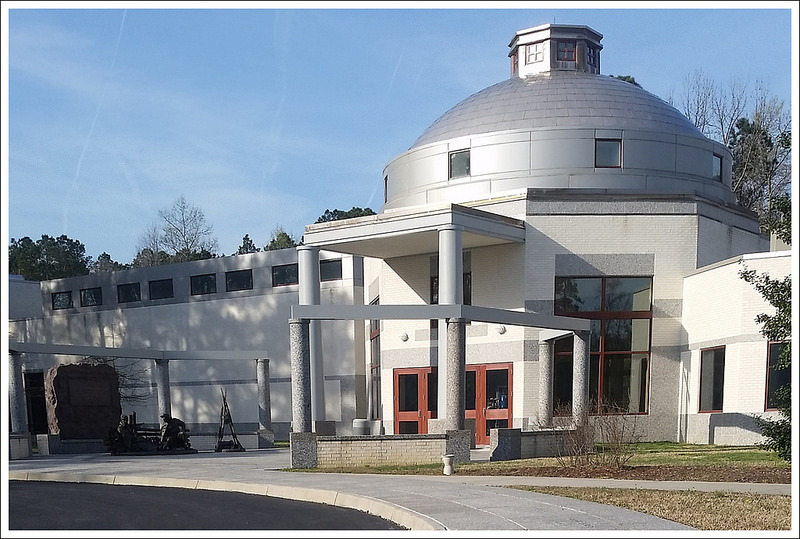 The main entrance is known as The National Museum of the Civil War Soldier. Leaving the building through the side entrance, you walk past a demonstration and then pass by the Tudor Hall plantation on the right. Continuing ahead, you walk past a Fortification Exhibit which gives you a closeup view of a trench and the defense systems around them. You then pass the Battlefield Center on the left and and begin the real hike on the Breakthrough Trail. The Breakthrough Trail has a Main Loop, Short Loop, and Intermediate Loop. Knowing I was going on a bit further, I started in .2 miles on the Main Loop. The main loop is mostly wooded as you go through an area known as Arthur’s Swamp. At .4 miles, you reach a junction where you can break off and take the Short Loop, but I continued on the Main Loop. At .85 miles, you come to a junction where you can continue on the Main Loop or begin the Headwaters Trail. I picked up a brochure at the junction and saw that The Headwaters Trail would actually connect as a large loop, so I decided to take the longer Headwaters Loop. 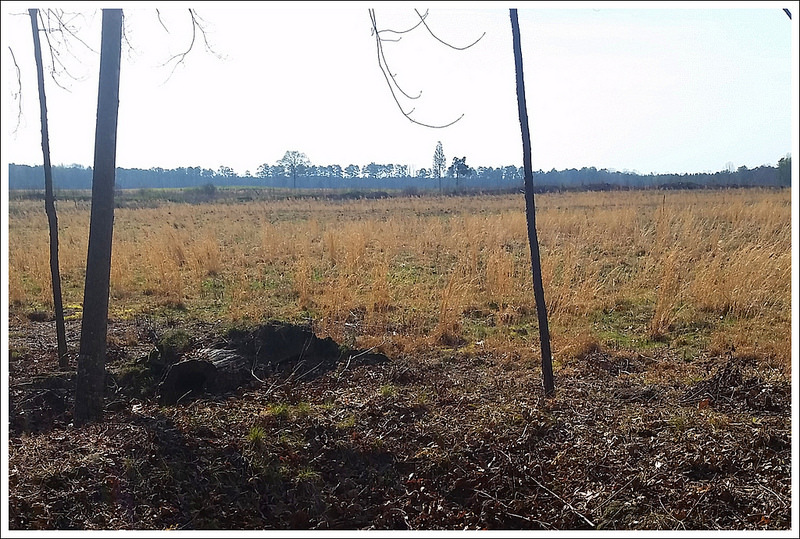 Along the way, you get to see several Confederate rifle pits, small dugouts that formed strategic encampments. At 1.35 miles, you reach a short path that has a sign explaining an original logging bridge. 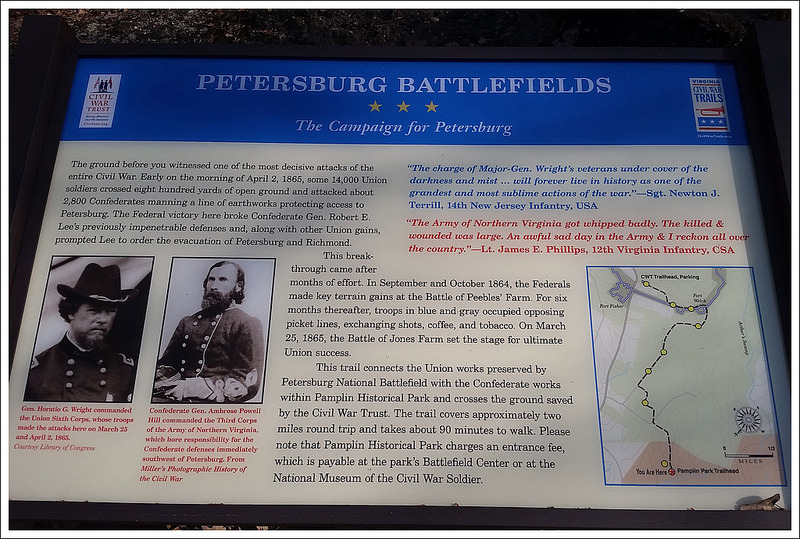 From here you can break off the Headwaters Trail and make your way on to the Petersburg Battlefields Trail. The idea of checking out how these trails connected intrigued me, so I took this trail. From here, you are leaving the Pamplin Historical Park boundary. You go through some woods but then are left with great farmland views where you can imagine the feelings of the soldiers that were crossing this field. You can only begin to think about how many people lost their lives on that fateful day to stand up for their beliefs. Continuing on this trail allows you to get some open scenery, which is great for spotting birds in the fields. I walked on an open path and then at 1.65 miles, followed the sign pointing towards the parking lot. This trail continued to skirt around some open fields of farmland. At 2.4 miles, the trail takes a sharp turn to the left where you come across some large earthworks, serving as barriers protecting the Union line. I walked along these for a short distance and saw the trail continued further, but decided to make my way back. On my way back, at 3.25 miles, I came to the junction of the sign (one way leading to the parking lot, the other pointing to the Petersburg Battlefield Trail). Instead of taking a right, I decided to take a left to walk along the farmland and get more views, but I turned around after just .2 miles to get back to the trail I knew. From the junction sign follow the sign pointing to the Petersburg Battlefield Trail and at 3.6 miles, you finally rejoin the Headwaters Trail. At 4.0 miles, you reach a junction with the Woodlands Trail, which also leads back to the start, but I continued on the main Headwaters Trail. 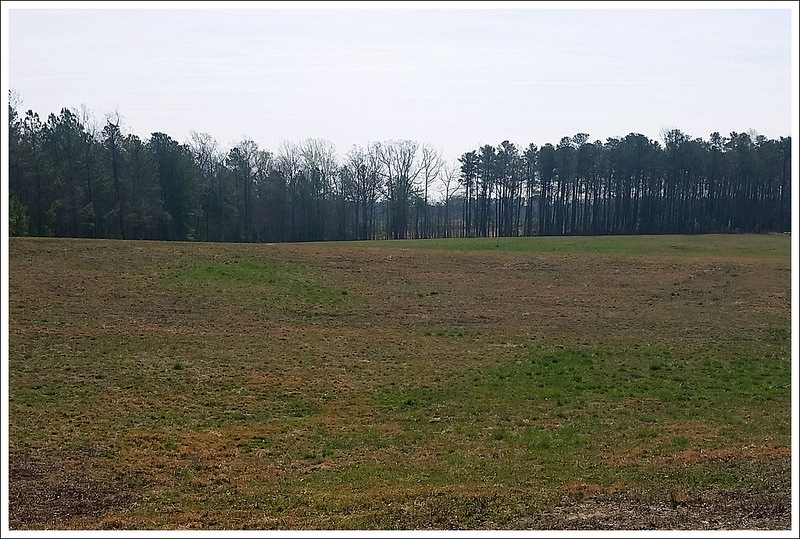 In a short distance, you begin to see the large Confederate Earthworks, forming that historic line the Confederates tried to maintain. 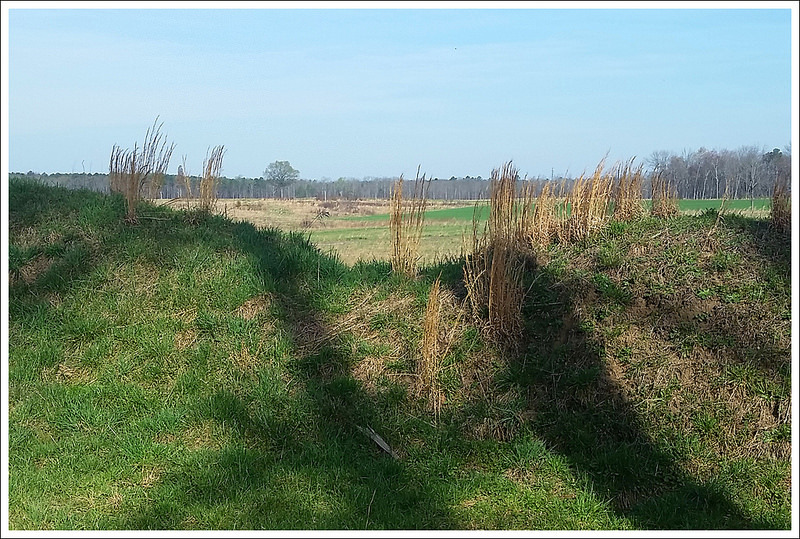 The trail crosses over a break in the earthworks and then takes a sharp left turn to parallel the earthworks. At 4.4 miles, you reach another junction where you have an option on which side of the earthworks that you like to walk along the Intermediate Loop. At 4.5 miles, you reach a junction with the Woodlands Trail again and at 4.6 miles, you meet a junction with the Main Loop. Staying straight on the Intermediate Loop, it joins the Short Loop in a short distance. I took a right here and reached the Battlefield Center at 4.8 miles. I explored inside the Battlefield Center and then took in the Tudor Hall Plantation before returning to the main entrance at the National Museum of the Civil War Soldier. 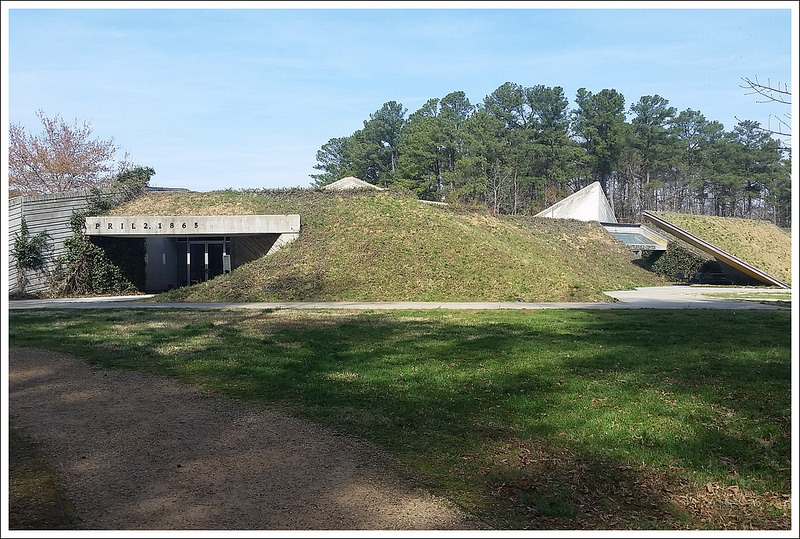 If you are a civil war history buff, this would be a great place to hike and explore. I was thoroughly impressed with how much has been put into the care of the trails and the exhibits themselves. You could easily spend most of the day exploring the trails and grounds here. This would be a great hike to go as a family to learn about the history and if you have children, they may enjoy reading about the civil war on the placards along the way. I must say that I was pleasantly surprised at how great the trails were maintained here. 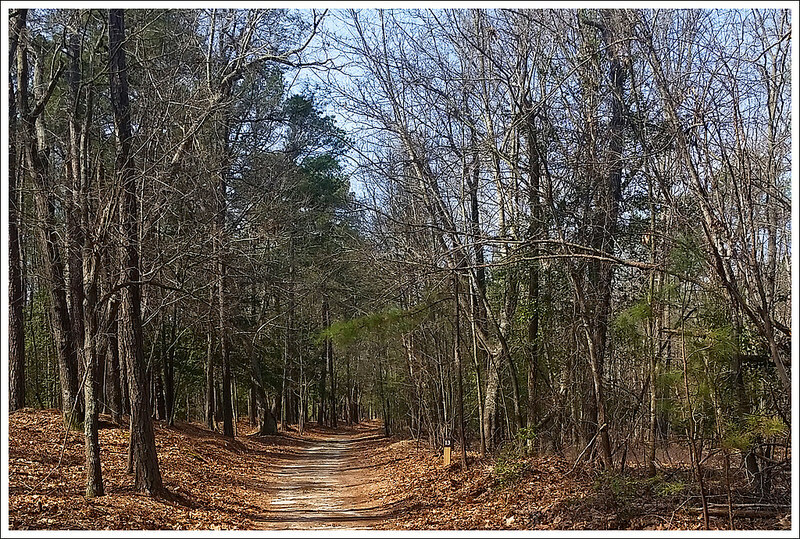 I went in expecting that I could walk along some short, easy trails, but with adding the spur to the Petersburg Battlefield Trail, you can get a more serious hike into your day. The Tudor Hall Plantation. Below: Open field views, statue at the entrance station. Difficulty – 1. Very easy walking on this one with very little elevation gain. Trail Conditions – 4.5 Trails are well-maintained and easy footing. Views – 2.5. Not high views, but vast views of open, picturesque fields. Wildlife – 2. Some decent bird-watching over boggy areas and expansive fields. Ease to Navigate – 3. When you leave Pamplin, things can get a bit confusing. Solitude – 3.5. You will see people at Pamplin Historical Park, but hardly anyone on the trail system. Pamplin has $1 admission per person all summer (2018). Thanks for letting our readers know!